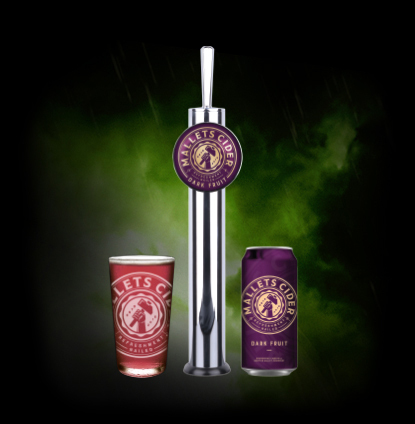 Tales tell, when our ancestors needed to quench their thirst they would beseech ‘Shepton’, the great God of cider, to bestow upon them a perfectly balanced, easy-drinking pint, bursting with the sweet tang of finest Somerset apples. 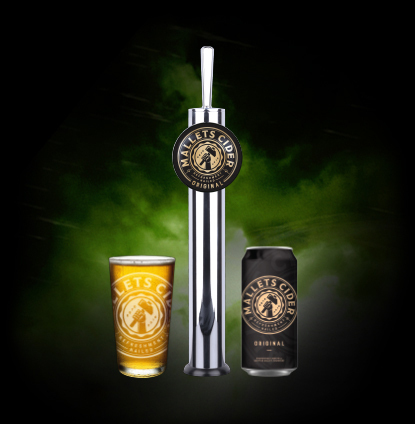 Legend has it that Shepton would call forth a whirlwind of ripe russets which he would smash and pulp with his mighty mallet until cider – the sweet nectar of the gods – was created. So cast your eyes downwards and behold the fruits of Shepton’s glorious labours. If you’re besieged by hordes of thirst-crazed barbarians and need something to smite even the mightiest thirst, your prayers have been answered. Mallet’s is a new quality cider brought to you from The Showering Cider Mill in Shepton Mallet, Somerset, one of the UK’s largest cider mills. Beseech the great God of cider named Shepton to bestow it upon you. Alternatively, hit the button below.